Looking to sell a New Holland Digger or Excavator? Do you have a New Holland Digger for sale? Are you looking to get rid of any old New Holland digger equipment you have lying around your yard? Don’t let it turn to rust if you’re not using it – instead get in touch with Sell My Digger and we could take the machinery off your hands, and all for a fair price of course! 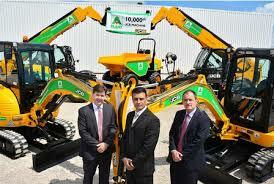 We can cash buy any New Holland excavators for sale, in a few simple steps. If you’re looking to offload your New Holland machinery then all you need to do is get in touch with us and let us know a few simple details about your New Holland digger for sale, and we can then offer you a quote based on what you’re selling. Our quotes are usually very quick to process – you’ll never be waiting more than 48 hours to find out how much your digger is worth. New Holland originally launched as a one-man repair shop in its similarly named town in the state of Pennsylvania, USA back in the late 19th Century. 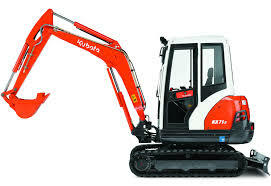 However, it wasn’t until after the invention of the world’s first hydraulic excavator back in 1947 that this company decided to branch out into agricultural and construction machinery. Their first backhoe loader was launched in 1966, and since then New Holland have become the pioneers of the digging and excavating machinery providers, with many bases across the USA, Europe and beyond. Nowadays, New Holland specialise in pro wheeled excavators, which are innovative machines that can excavate whilst also remaining highly mobile devices which make them a great selling point for a vast range of construction jobs. These mini diggers are versatile yet strong and capable, so it’s easy to see why they are a top choice to purchase. Even second hand, these machines outperform some of their contemporaries. So if your New Holland digger or excavator is for sale, simply fill in the Request a Valuation form now and we’ll be straight in touch to value your Volvo Digger or Excavator!